Outdoor industry veteran Bill Supple has been recently brought on to help grow the Outdoor & Sports Company’s Mountain Equipment brand as the brand and business development director. Additionally, Greg Boyd has been hired to represent all three of OSC’s brands (Mountain Equipment, Bridgedale and Hilly) as a Rocky Mountain region sales rep in the U.S.
Supple most recently spent 17 years as the CEO and president of Mammut Sports Group Inc. At Mountain Equipment, he’ll be working with the U.S. team to continue the recent growth of the brand and expand sales opportunities. 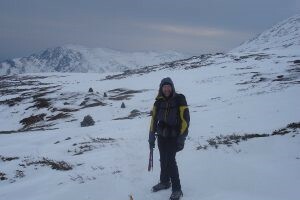 Boyd has been working in the outdoor industry since 2006. He started his career working in a local climbing shop in California. From there he started working with kids as a climbing instructor. A move to Colorado led him to working as a sales rep with outdoor brands. As the in-house sales rep for OSC, he will work to expand retailer relationships for the company’s three outdoor brands.